Is The EYLF (Early Years Learning Framework) A Pathway To Motivation? The knowledge and implementation of all or some parts of the Early Years Learning Framework (EYLF) is widespread amongst early childhood educators in Australia (and indirectly its children and their families). In its simplest form of expression, the EYLF is a set of guidelines that help educators think more deeply about their work, motivating them to explore new ideas and approaches. It’s a guidebook not a rulebook. There can be little doubt that the EYLF is evidence of taxpayer dollars well spent. At best it shows us how to change the way educators work and families engage with their child’s early learning and development – something useful that was long overdue. At worst, well, there is no worst other than some educators, for whatever reason, may not be willing to change or might not understand how such changes work. It may be ‘the foundation to a child’s learning journey’, but because it’s a framework and not a new set of regulations (much to the relief of all), it’s up to each of us as educators and parents to interpret the EYLF to our own advantage. The EYLF is only as good as you make it. The more educators, centre owners and centre management interpret the EYLF into their own planning and programs and processes, the better the results and overall outcomes are proven to be. Having a framework that carefully shows us how to involve ourselves more in the early learning growth and development of each child is motivating educators to focus on engaging families in the growth and activities of their child. That also benefits the relationship the centre has with the family and can help maintain a healthy and open connection between the child’s centre and home. If you are using the EYLF ask yourself if you are getting as much as you can out of it? Revisit the framework and rethink how it applies to you, your centre and each child. Reflections like these lead to advances in planning and programming with a flow-on effect to the child, the family and the community. 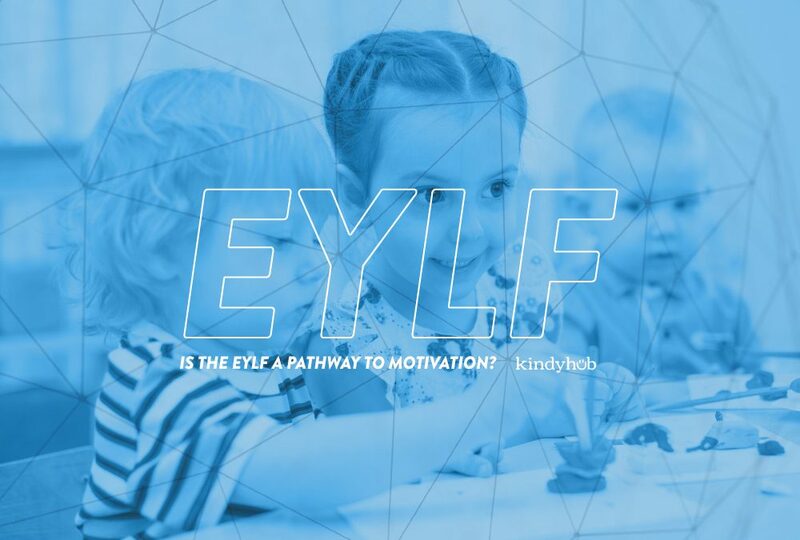 Is the EYLF a pathway to motivation? Most definitely! It’s all there. Dip into it, explore it and put it into action. Take a holistic approach. Create programs that involve families in the day-to-day growth and individual development of their young family member. Provide each child with the type of environment that gives them the security to feel free to explore, try new things and learn how to become a well-adjusted, productive member of society. In the process you’ll find that achieving high standards of education helps educators feel motivated and passionate about the career they’ve chosen. Used to its full capacity The Early Years Learning Framework allows us to know that we are doing the best we can to start the very young in our community on a lifelong journey of learning and self-awareness. That can only benefit everyone.